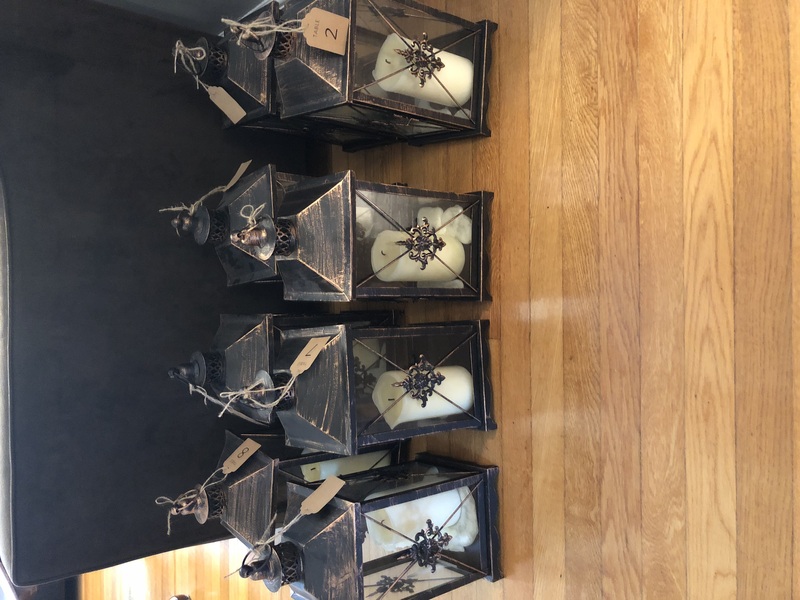 8 beautiful rustic looking lanterns with candles and table numbers. I used these for centerpieces at my wedding with rose petals sprinkled around and small votives. They were stunning, simple, and elegant.